Lemax Patio Bench Accessory (Set of 2) depicts two traditional metal garden bench seats to compliment a garden scene in a Lemax Village display. A Lemax Village miniature accessory for fixture or placement in amongst a Village scene, joining the Lemax collection in 2003. 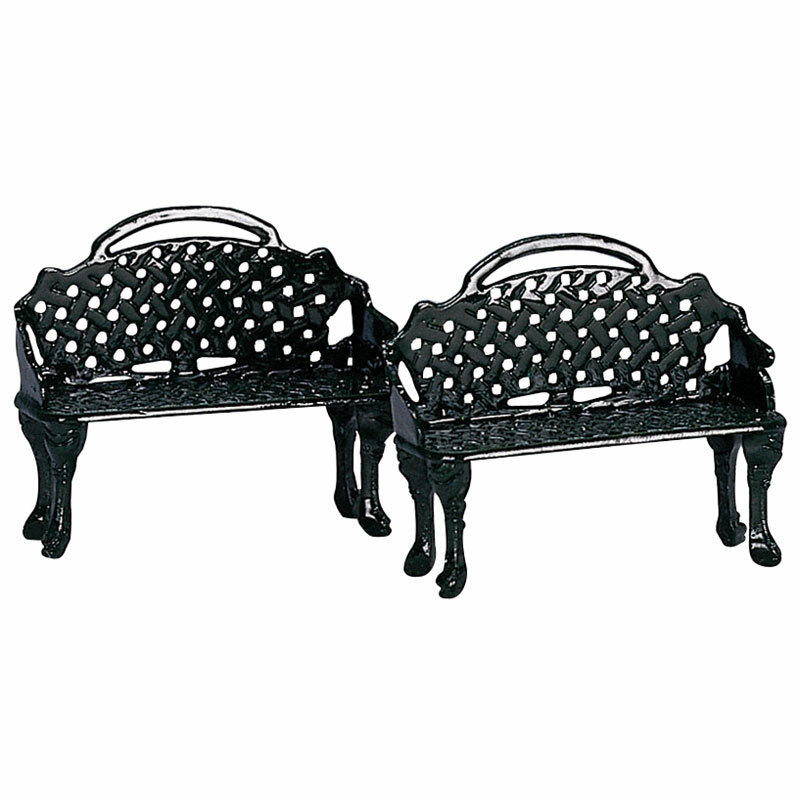 Set of 2 Patio Benches individually hand painted polyresin pieces self standing to compliment your seasonal Lemax Village display.